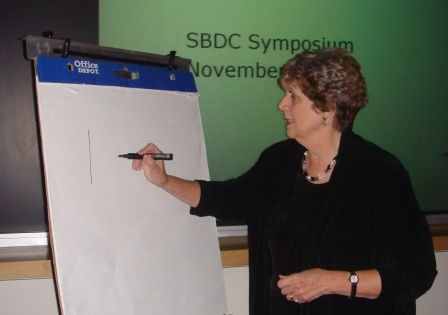 Every month, Jackie does countless presentations of business training to groups of solopreneurs and Boomers looking to start their own business. If you’re just exploring self employment as an option, be sure to check Jackie’s event page for upcoming business training options. Below are a sampling of what you can expect. In her training, Jackie addresses the first steps to developing your business and how to tell if it’s the right option for you. She’ll also share some startling statistics on self employment and the economic changes expected to take place in this country in just the next few years. It can be frightening to take the big step into self employment, but you’ll see that beginning with this option of guidance from Jackie you’ve got a guide every step of the way. To get on our mailing list— Sign Up Now!